This article first appeared in Options, The Edge Malaysia Weekly, on April 2, 2018 - April 08, 2018. 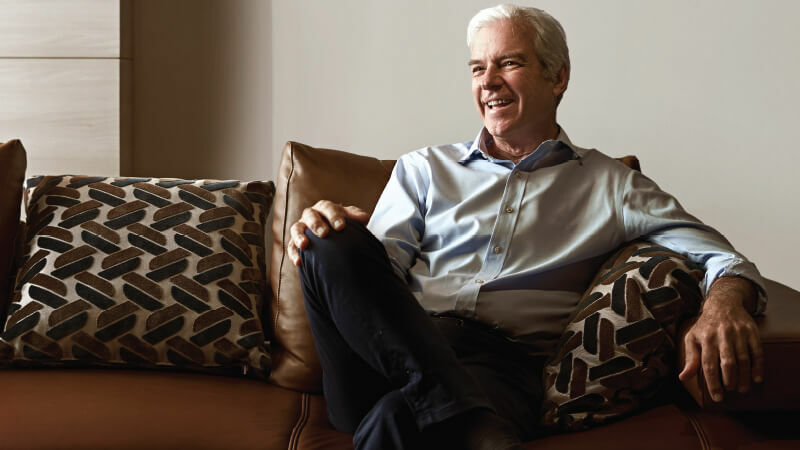 Doing things differently is Australian furniture manufacturer and retailer King Living’s winning strategy, from its game-changing approach to innovation that informs its quality and comfort to its timeless viewpoint on design. Soon after King Living was launched in Malaysia, co-founder David King told Anandhi Gopinath the story about its unexpected start, its guiding philosophy and the secrets of its rapid growth. Prior to 1960, living room furniture was more decorative than functional. You sat in a chair with your back straight and when you were finished with your task in the room, you left. It was all quite formal, in fact, and the idea of relaxing on a sofa would have been considered a little ludicrous. celebrated its 40th anniversary last year, is today Australia’s leading furniture manufacturer-retailer with 14 branches across the country as well hugely successful showrooms in Auckland, Singapore and Kuala Lumpur.